Crowd funding is a term used when a large group of people donates or invest a small amount of money in a business that has just started and due on getting immense growth. This way, the money required to start and run the business is accumulated and the business starts growing. Later on, the investors get a huge share of money with their investment and their efforts, and the business owner enjoys success of his business. Apparently, this is a win-win situation for the business owners as well as people investing in the business. More and more MLM companies are investing their time, money and resources in MLM Crowdfunding Plan due to the reason that this is one of the plans that ensure quick success in MLM business. It is never difficult to find investors because investment in this plan brings great monetary benefits, and it is never difficult to grow the chain because you find investors rather quickly. Crowd funding business needs a group of people who seeking to earn lots in short period of time. Each and every person will donate a short amount of money and they will get lots of money with their efforts. The Crowd funding is a completely working MLM business plan. 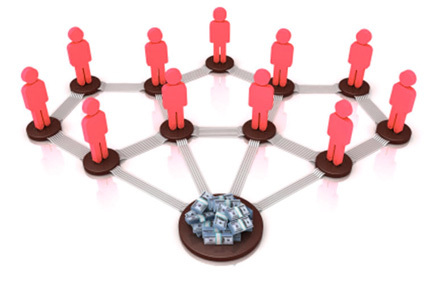 The MLM top leaders can start their own Crowd fund business with their own team of networkers which donate a tinny amount and they get lots of funds with Crowd funding business.